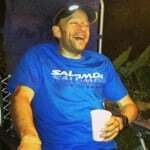 Gary Robbins is a North Vancouver based ultrarunner who was born and raised in Mount Pearl, Newfoundland. Gary moved west in the late 90s to pursue a mountain lifestyle he'd only seen magazines up until then. Skiing was his first love, followed by mountain scrambling, international travel, then expedition adventure racing, and, eventually, ultrarunning. Competing solely in ultrarunning since 2008, the road had been a bumpy one, though every race worth running has plenty of highs and plenty of lows along the way. It all plays into the biggest thing Gary took from two years of travel: "the worse things get in the moment, the better the stories will be after the fact. So when things seem to go really south on you, you're actually just in the middle of a really, really good story line." Gary Robbins’ race report from his course record-setting win at the 2013 HURT 100 in Hawaii.